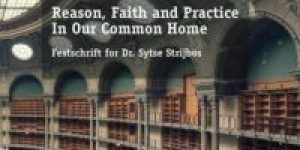 This book is devoted to Dr. Sytse Strijbos, in our appreciation of his unique, devoted, and selfless efforts and contributions to the betterment of the world we live in. The present age, often understood as either late modernity or postmodernity, seems to have manifested a developmental paradox. The invention and use of science and technologies has brought material well-being never experienced in human history. Much of the modern world is characterized by economic growth and reflected in advanced housing, schools, healthcare systems, transportation and communication infrastructure, safe and secure workplaces, social insurances of various types, pharmaceuticals that save the lives of millions—all bringing human comfort and fueling a consumption economy. 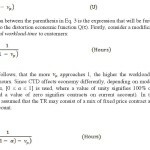 Normatively regarded, however, there seems to be a blurred image. The development of societal institutions, based on some form of democratic rationality, is important in its striving for human equality and participation as well as the elimination of coercions and oppressions. Yet, we witness constant news about social, religious, political, and economic polarizations, with terrorist attacks and local wars killing innocent civilians, with global warming effects and microplastics in the oceans, with so-called “alternative truths” and challenges democratic institutions, including at its very heart the elections. More people than ever are consuming antidepressant pharmaceuticals and committing suicide. This imbalance between material development and normative advancement can be understood as the paradox of modernity and was brought to the surface eloquently by Max Horkheimer and Theodor W. Adorno in their seminal “Dialektik der Aufklärung” (Eng. “Dialectic of Enlightenment”). They challenge the myth of enlightenment and its progress, based solely on human reason, as reflected in rational bureaucratic organizations, science, and technology. Raised in Dutch society during the World War II recovery effort, Strijbos is part of this paradox of modernity. He has witnessed the economic and material developments of his country and Europe, and the normative challenges of their societies. Strijbos has been exposed to several influences: a version of the Christian faith that promotes love and compassion, the power of intellect in science and technology, and the importance of action in entrepreneurship and businesses. Unlike most engaged people, he does not assume a stand for one of these three poles. Drawing on the intellectual tradition of Abraham Kuyper and Herman Dooyeweerd, he seeks and formulates an integrative vision and approach that can be characterized in terms of three poles, where each pole interacts with the other two and in that manner aims toward human dignity and justice. His message is that only in that manner can we firstly understand the roots of modernity and its paradox and then redirect our societies. that aim to advance this integrative vision. 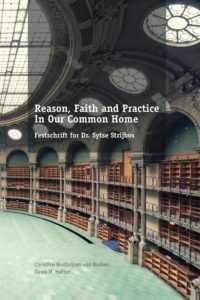 The uniqueness of these efforts is that without any granted external resources, he motivates people in various parts of the world (e.g., the Netherlands, the United Kingdom (UK), Sweden, and South Africa) to pursue intellectual and practical activities also aimed at advancing this integrative vision, where attempts are made to relate faith and conviction to thinking and intellect, and to actions and practices. These efforts have formulated tentative bridges of several kinds. One kind is in the academia among the various specialized disciplines, typically isolated from each other, and with philosophy and theology. The other kind of bridges are between the academic world of thinking and the world of practices and actions, be it firms, entrepreneurship, hospitals, or aid agencies. The editors are grateful for the contributions of Harma Strijbos and dr. Carools Reinecke who provided many details about Strijbos’ life and career. Some data can be found in manuals on ceramic technology: R.J. Brook (ed.) Concise Encyclopedia of Advanced Ceramic Materials, Pergamon Press, Oxford, 1991, page 113-117 and page 383-384. And also in: M.N. Rahaman, Ceramic Processing,Taylor & Francis, London/New York, 2007.